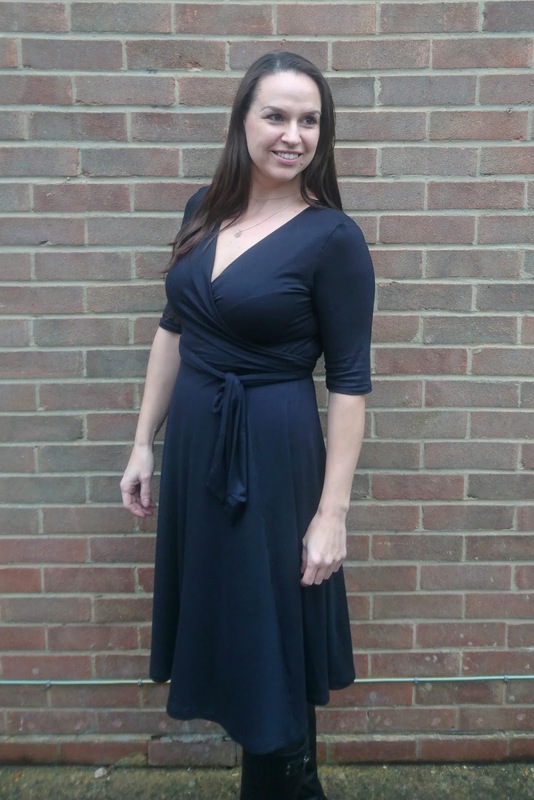 This dress ticks all of the boxes for a great dress - it's flattering for all shapes and sizes, it has pretty details, it looks a lot more complicated than it actually is to make and it will work for all seasons with varying sleeve lengths. What more could you want from a pattern?! 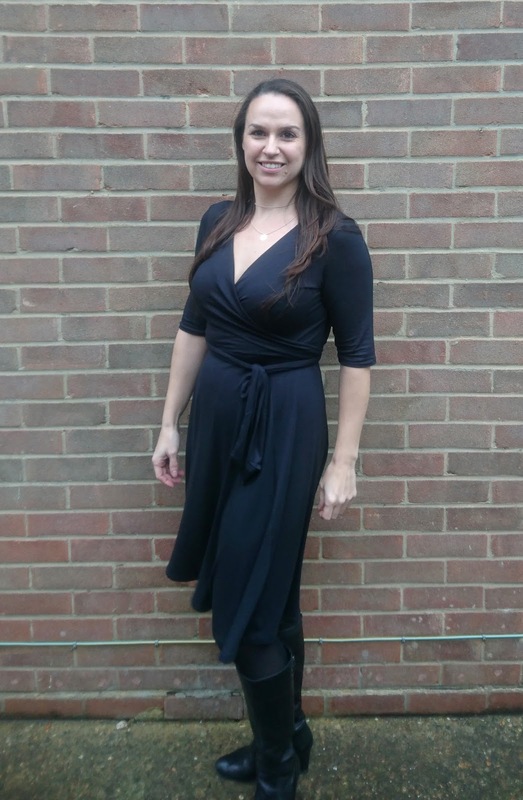 For my Wanda Wrap dress I chose the elbow length sleeves and a nice drapey black knit (a Rayon/lycra blend) - normally I like to buy fabrics with a print, but the details of this dress are so pretty I thought I would let the pattern speak for itself and make a perfect LBD. Having been sewing for many (many, many!!) years I can usually predict how a pattern will come together and roughly what the pattern pieces will be like - but this dress is something different and I think Christina of Wardrobe by Me is a genius for designing it!! Honestly - it's so clever! 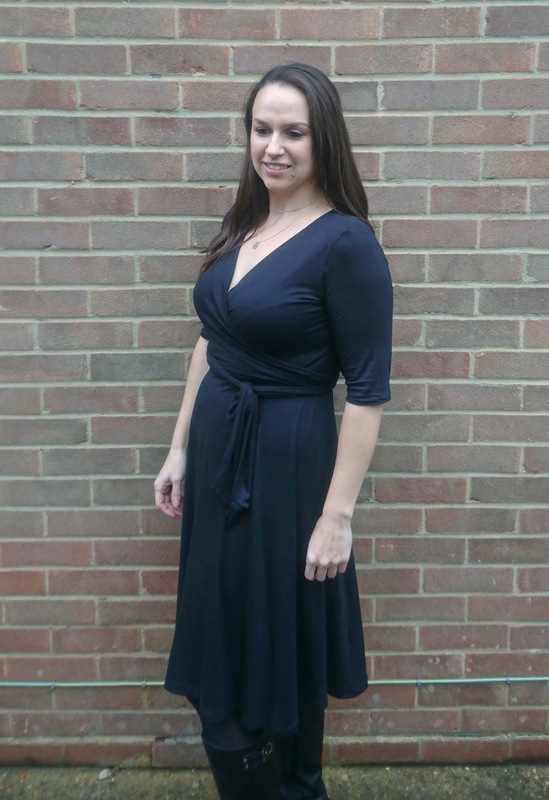 All the testers remarked on the design as we were sewing up our test dresses, and pretty much everyone got a perfect fit first time. Only the top part of the dress wraps around (you can tie it as you please - front/back/side) and the skirt has 6 gores, which makes it lovely and flowy, as you can see in my slightly windswept shots above!! Luckily no embarrassing moments, as there is no split in the skirt!!!! 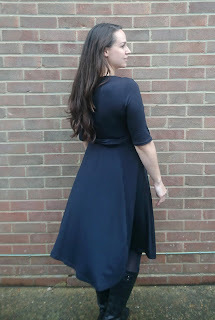 I can't wait to make more versions of this dress, I'd love to do short sleeved one in a floral print for the summer months (although those seem a long way away in the bitter British cold we have here at the moment!) 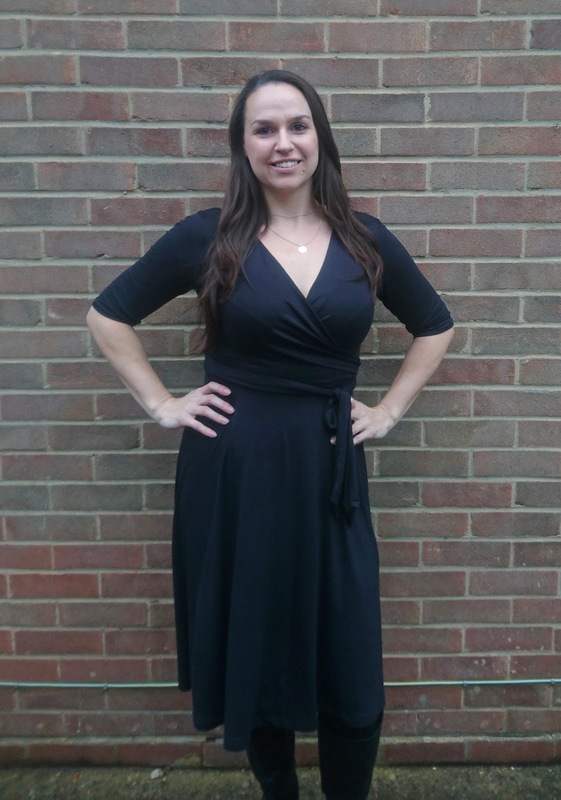 - until then, I think I will be wearing my LBD Wanda for my Christmas do next week. To get your copy of the dress Click Here and for the Curvy version Click Here. It's on sale ($9 instead of $12) until the 8th Dec - so get in there quickly!